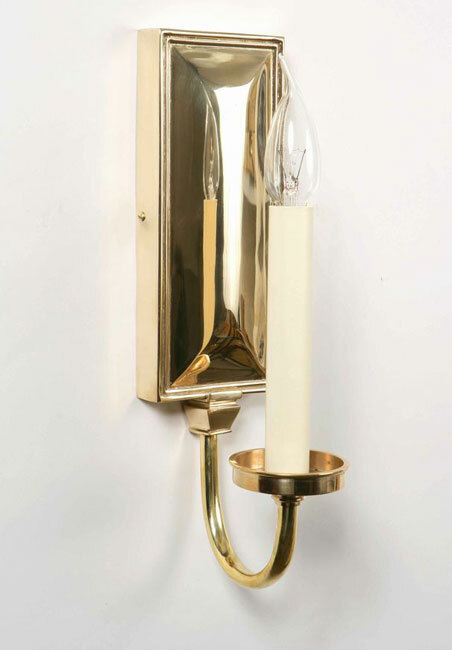 A beautiful solid polished brass single wall light. Plain bevelled front rectangular wall mount, with elegant curved light arm, candle pan and long slender candle tube. Also available in light antique, aged antique and bronze finishes. From our handmade replica Georgian wall light selection. Timeless replica lighting made to last a lifetime. Handmade and finished to order.